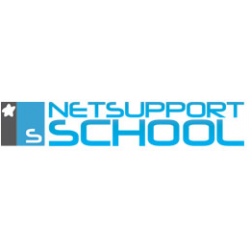 NetSupport School has hundreds of features within its components but we thought you would like to see the most important ones here. To view all of the features in more detail, please select from the menu above. What are the key features of NetSupport School? As a teacher, NetSupport School allows you to control student activity on each device in the classroom. From a simple power on or login at the start of the day, to locking their devices to gain attention, NetSupport School ensures only a single mouse click is required. Monitor what students do, control when they can do it and prevent access to resources whenever required. All of these can be set as a default so they happen even without teacher's input at the start of the lesson. Assessment of understanding and progress is key and, with that in mind, NetSupport School serves up a unique Q&A mode for real-time individual, group and peer assessment in a fun and engaging game show style, with basketball questioning, teams, first to answer and much more. Quick surveys can be done with the whole class as part of a plenary, with students automatically grouped based on responses. Finally, we include a full Testing console with auto-marking when more structured assessment is required. From group leaders, group chat sessions, interactive whiteboard, audio monitoring and more, NetSupport School is built with collaboration in mind. Digital Journals - We want to help save teachers' time and ensure students leverage every possible benefit from the technology available to them. The Student Journal ensures a record of all relevant content from a lesson can be stored in a PDF file for the student to take away and review. From personal notes to recommended resources, screenshots, teacher notes, survey results and more, the journal is a great addition for each student and a lifeline for any absent students. With a Tutor console, tablet apps for teaching assistants and software for every platform, NetSupport School is the most complete classroom software available. To ensure all classes remain up and running at all times, a dedicated Technicians' Console is also included for the Network Manager and their team so they can see all PCs across the school, monitor systems and perform remote management when needed.